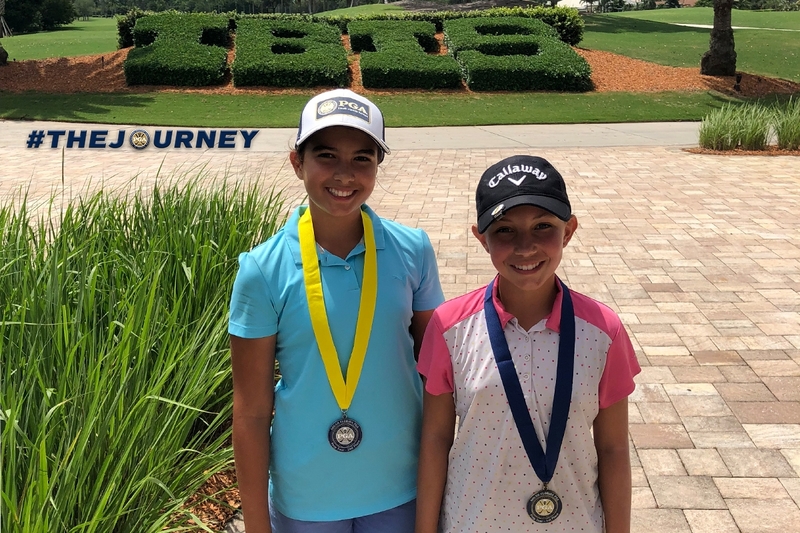 August 12th 2018 - West Palm Beach, Fla. – Today, the South Florida PGA Junior Prep Tour presented by The Honda Classic held the ninth Prep Tour Event of the 2018 season at the Club at Ibis. This event featured a field of 67 players aging from 9-18 years old. The juniors competed in intense heat on this sunny August day, hustling through the round to finish before the storms rolled in. Tristian Wieland of Jupiter captured the boy’s 9-10 age division shooting a round of 2-over par, 74. Palm Beach Gardens native, Tristan Rhodenizer, was runner-up in the boy’s 9-10 age division with a round of 4-over par, 76. Matthew Golovanov of Boca Raton took home the boy’s 11-12 age division with a round of 2-over par, 74. Pompano Beach native Mateo Desmond finished runner-up in the boy’s 11-12 age division after a round of 4-over, 76. Patrick D’Amato of Palm City captured the boy’s 13-18 age division with a round of 3-over par, 75. Davis Dickinson of Palm Beach Gardens took home the runner-up spot in the boy’s 13-18 age division with an 8-over par, 80. Abigail Halpern of Palm City captured the girls 9-10 age division shooting a 98. Vero Beach native, Laney Ryan, took second shooting a 125. Kayla Bryant of Boca Raton took home the girls 11-12 age division after a round of 1-over par, 73. Hobe Sound native Morgan Pichler finished runner-up in the girls 11-12 age division after a round of 8-over par, 80. Cynthia Liu of Parkland took home the girls 13-18 age division with a round of 84. West Palm Beach native Margie Lee finished runner-up in the girls 13-18 age division after a round of 91.